We’re so glad to see so many of you lovely people here tonight, and we would especially like to welcome all those who have chosen to join us here on Tributebands.ie at this time. We do sincerely hope you’ll all enjoy ‘The Counterfeit Blues Brothers’ on this site, and please remember people, that no matter who you are, and what you do to live, thrive and survive, there are still some things that make us all the same. You, me, them, Tributebands.ie, everybody! 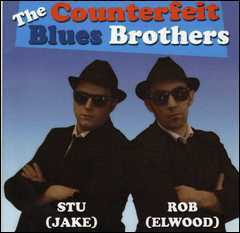 The purpose of ‘The Counterfeit Blues Brothers’ is to pay tribute to the music and humour of Jake & Elwood and to keep the passion they had for blues alive. 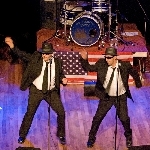 This nine piece hard working tribute band covers all the great tunes featured in the iconic Blues Brothers movie. 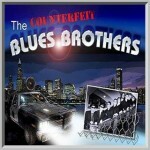 ‘The Counterfeit Blues Brothers’ energetic 90 minute show comes complete with horn section and together they recreate the music of Jake and Elwood Blues in impressive style. 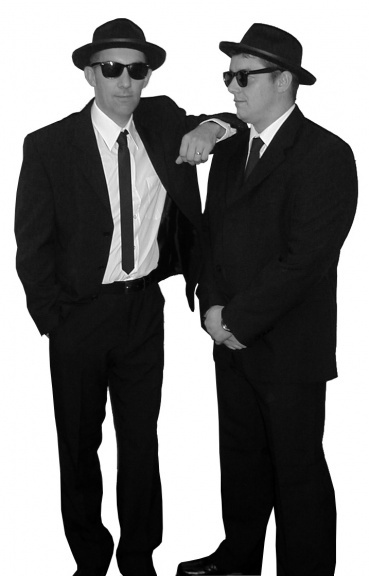 For a great nights entertainment packed with fun, singing and dancing you can’t go wrong when you book ‘The Counterfeit Blues Brothers’. 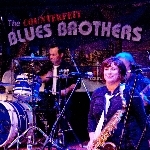 It’s one big foot stompin’, hand clapplin’, Blues Brthers Party and everyone’s invited! 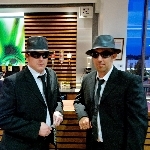 If you would like to book "Counterfeit Blues Brothers" for your venue, corporate event, festival, private party or Christmas show call us now on 086 8883666. For International enquiries contact us on 00 353 86 8883666.